Accept no substitutes. Own “The Original Mood Therapy Liquor Bottle Light™”. This beautiful and unique LED liquor bottle light is designed and hand-crafted by The Bottle Upcycler in the USA. It’s made by upcycling a used (recycled) 1 L liquor bottle into a new piece of functional and unique bottle light art. This is a quality product that does not look like some DIY project thrown together by some drunk guy in his garage. All our products are handcrafted in our shop in Southern California by people that care about what they’re doing. Malibu Rum is a trademark owned by The Malibu Rum Company. 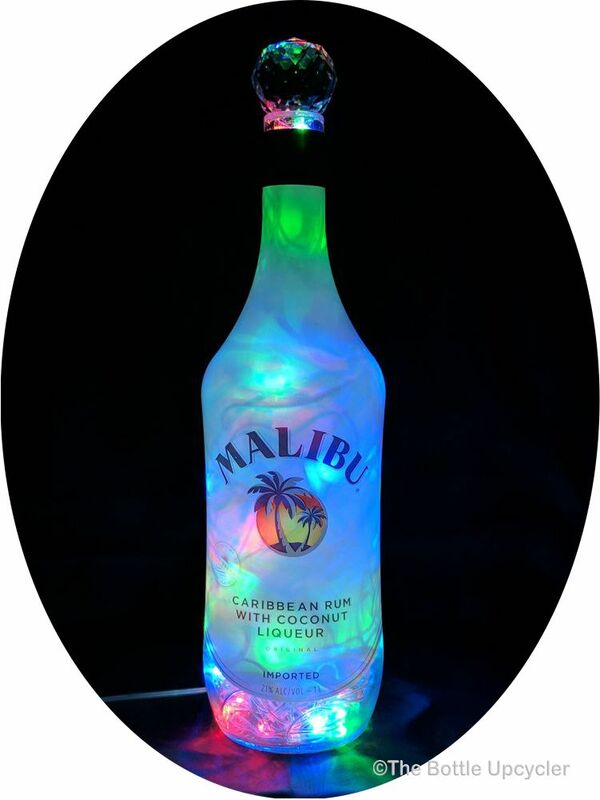 This bottle lamp is not made or endorsed by or affiliated with The Malibu Rum Company in any way.